"Exoto makes the best replicas money can buy"
"You have the most beautiful models among all brands." 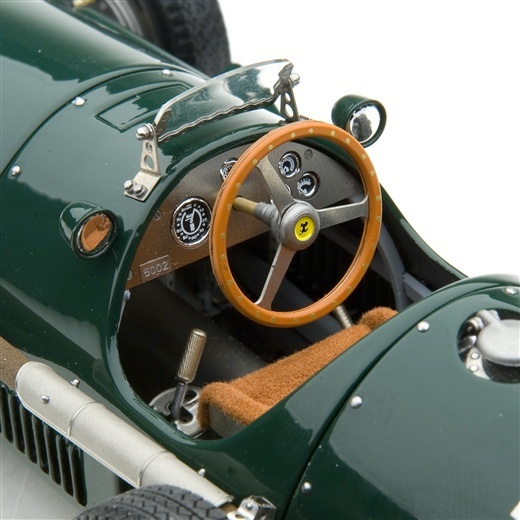 When the FIA restored Formula 1 as the playing field for deciding the World Championship in 1954, the 2-liter Formula 2 cars that battled for the 1952 and 1953 Championships were at a disadvantage. 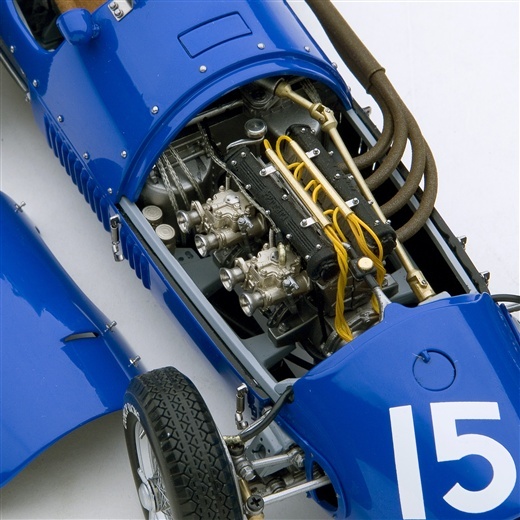 The 2-liter, 4-cylinder 500 F2 motor was enlarged to displace 2.5 liters in accordance with the new regulations. 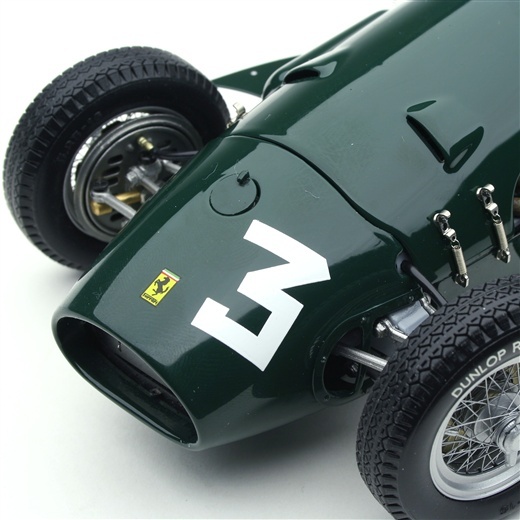 While the factory raced new 625 F1s, several of the customer 500 F2s were returned to the factory for the upgrade and returned to compete in the 1954 Championship! The Type 500/625 was a lovely car to drive, with well sorted handling and an extra helping of power. Exoto's Type 500/625 is a work of art, if we do say so ourselves. It needs to be held to be appreciated. Years of work have gone into recreating the imperfections of 1950s engineering and the perfection of 1950s styling. The delicate details contrasted with primitive construction techniques challenged our technical team in ways that could not have been foreseen. The process of continual refinement resulted in the most expansive use of machined, photo-etch, die-cast, pressed, stamped, and molded metal parts. 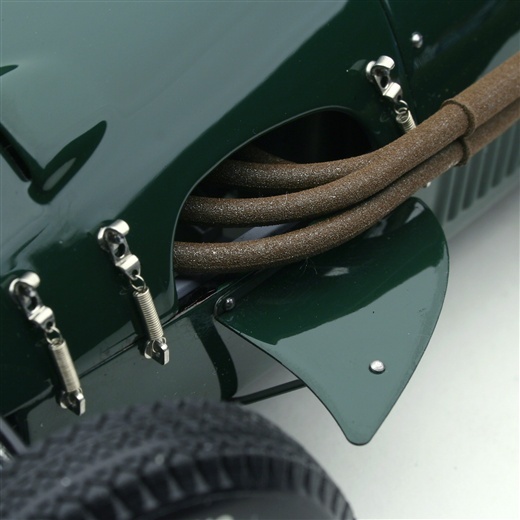 Springs like the five tiny ones that hold the bonnet tight to the chassis, rubber hoses, metal braided hoses, wire mesh, and velour-covered seat. 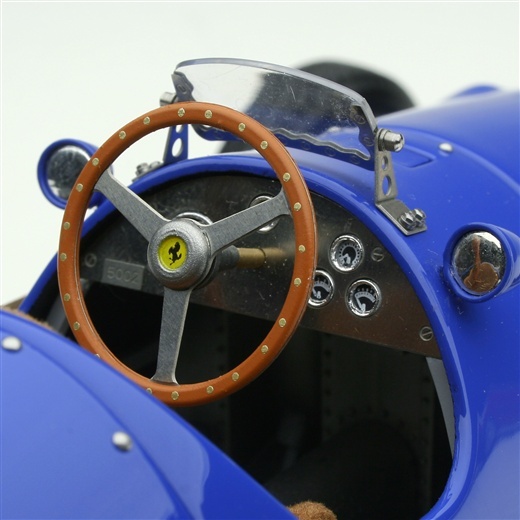 Tiny rivets, miniature machined domed nuts, brass steering column. Working steering. Gloriously rich, glossy, deep red paint. All of these elements come together to form the best replica of a Grand Prix Classic. This marvelous icon of Grand Prix glory was an irresistible subject for Exoto to tackle. 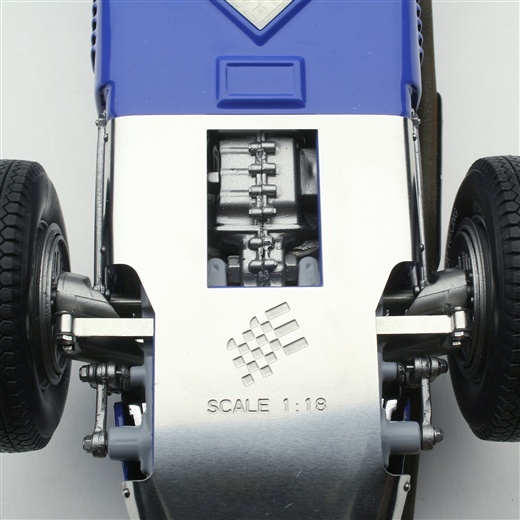 Lovely details abound in this 1:18 scale gem that is sure to please the most discerning F1 fanatic.